Do you want to stitch 2 PDF pages to 1 page and fit to A3 paper size? If so, please have a try of VeryPDF PDF Stitcher. A3 paper size is one in a range of international standard page sizes, known as the A-series. A3 paper is 11.69 by 16.54 inches, or 297 by 420 mm. A3 paper size is twice the size of A4, which is regularly used for large diagrams, tables or drawings, two-fold brochures, advertising documents, full-size presentations, etc. It can also be used to lay out a spread of two A4-sized pieces of paper. Please download the installer of VeryPDF PDF Stitcher. After the download, please double click the installer and follow the setup wizard to install it on the computer. 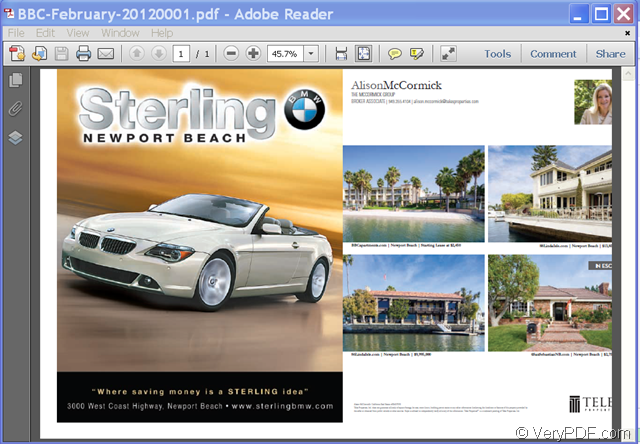 Please open this software and click button Add in the top toolbar to add PDF file(s ) into the application. If you want to delete the added PDF files, you can click the Delete button to delete the selected PDF files or the Clear button to delete all the PDF files. 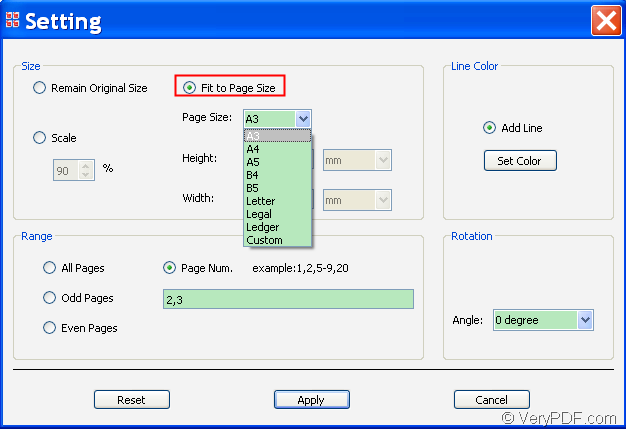 To stitch 2 PDF pages to 1 page and fit to A3 paper size, you need to make the following settings in the application. 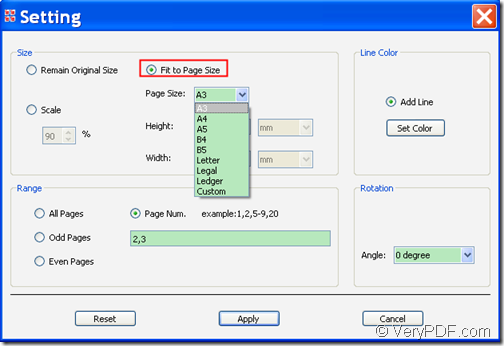 In “Pages per Sheet” dropdown box of the main interface, please select the option—“Custom” and then please input 2 and 1 in the two edit boxes beside the dropdown box so that the software can stitch 2 PDF pages to 1 page. Please see it in the following snapshot. To make the stitched PDF page fit to A3 paper size, please click the button Setting in the top toolbar to open the “Setting” interface first. Then, in the opened “Setting” interface, please check the radio button of “Fit to Page Size” and then choose “A3” in the dropdown list of “Page Size” within the “Size” panel. At last, please click the button Apply to save the settings and go back to the main interface. Please see it in the following snapshot. In group box of “Output Folder” below the file list, please type the path of a folder to save the stitched PDF. If you don’t know how type the path, you can also directly click button Choose beside the edit box to choose a folder for the stitched PDF. 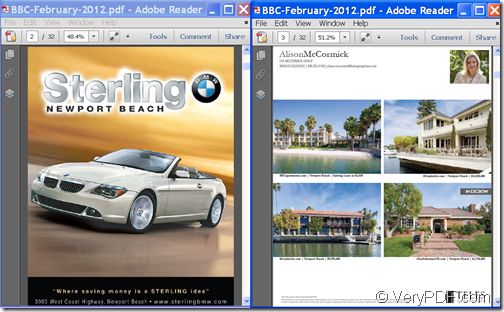 At last, please click button Start in the top toolbar to stitch the two PDF pages to one page which is fit to A3 paper size. If you are interested in this application, you are strongly recommended to have a try of VeryPDF PDF Stitcher. This entry was posted in PDF Stitcher and tagged stitch PDF pages. Bookmark the permalink.